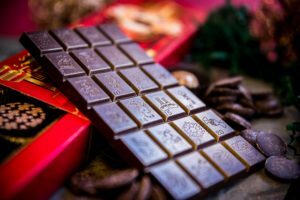 The kitchen at Bittersweet Chocolates is overflowing with freshly-made gourmet chocolate in a myriad of flavors. 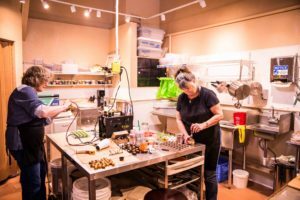 Co-owners Cindy Uhrich and Deb Smith have been adding a flair of French chocolate style to Olympia’s downtown since 2016. They work to provide at least 24 different types of chocolate in their shop on any given day. 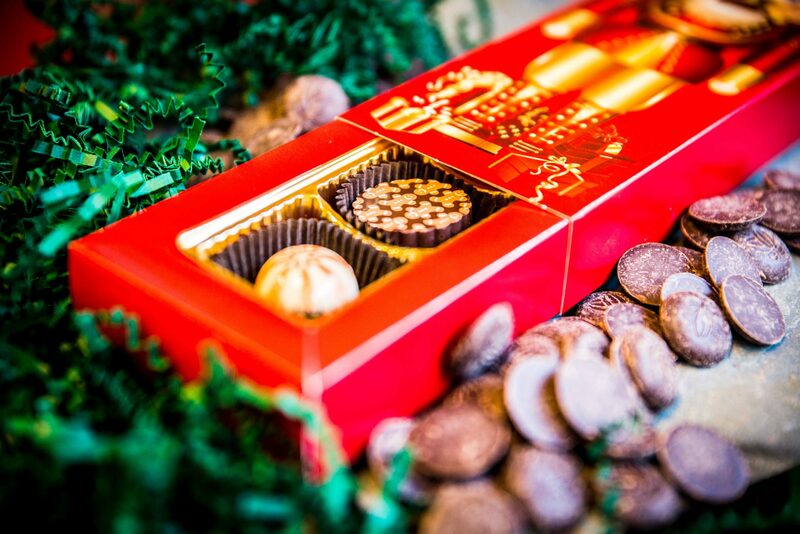 As the holiday season approaches, Uhrich and Smith have been planning a festive selection of chocolates using ingredients evocative of the holiday season. 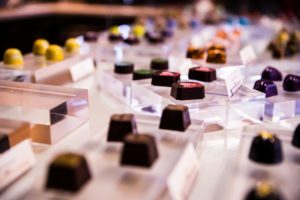 Before Bittersweet opened, it took Uhrich and Smith months to develop the flavors that keep customers coming back. “It took about a year to come up with our 24 original,” recounts Uhrich. In addition to Bittersweet’s special nutcracker-themed box, the shop will have a larger, 25-piece box in time for the holidays. 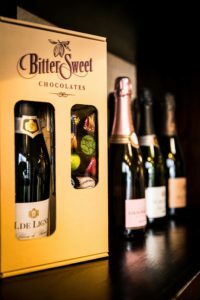 As a gift idea, Bittersweet offers a wine and chocolate box complete with a custom selection of chocolates from the store paired with a bottle of wine, chosen by the customer. Bittersweet will also be taking advance orders after Thanksgiving and will expand their hours to accommodate holiday traffic. To learn more, visit the Bittersweet Chocolate website. Wednesday – Saturday: 10:00 a.m. – 6:00 p.m.